There is a silver lining to a snowstorm: snow ice cream. This frozen dessert was a special childhood treat for Robert Stricklin, executive chef of The Keeter Center at College of the Ozarks. There is a silver lining to a snowstorm: snow ice cream. Surprisingly simple and definitely delicious, this frozen dessert was a special childhood treat for Robert Stricklin, executive chef of The Keeter Center at College of the Ozarks and assistant professor of culinary arts. 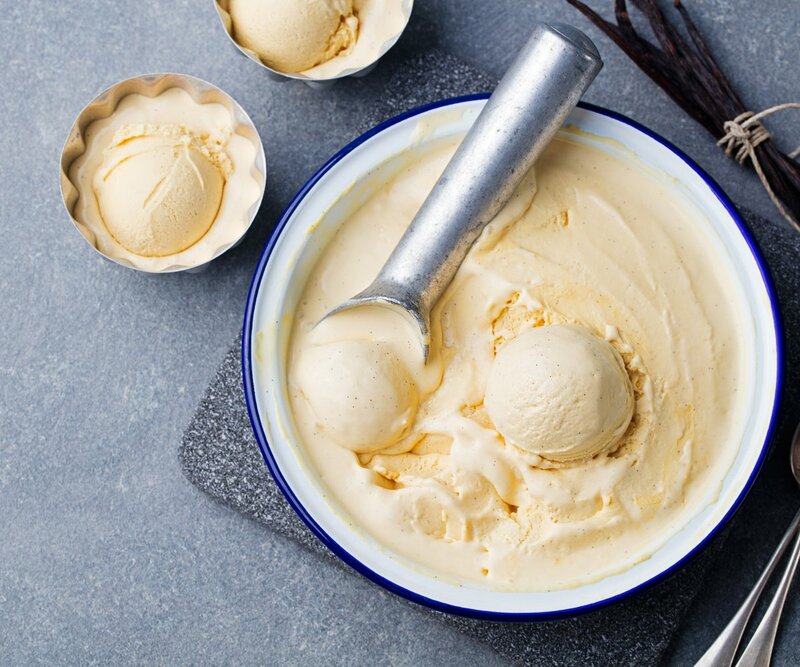 Try his simple recipe for creating a tasty, wintry indulgence. Scoop half of the snow into a large mixing bowl. Add the vanilla. Drizzle in sweetened condensed milk as you use a wooden spoon or rubber spatula to gently fold the mixture. The condensed milk will slowly freeze as it’s incorporated into the cold snow, thus thickening the mixture. Fold in the remaining half of snow. If desired, mix in fun toppings like chocolate chips, chopped nuts or dried fruit. If the ice cream is too runny, add more snow.